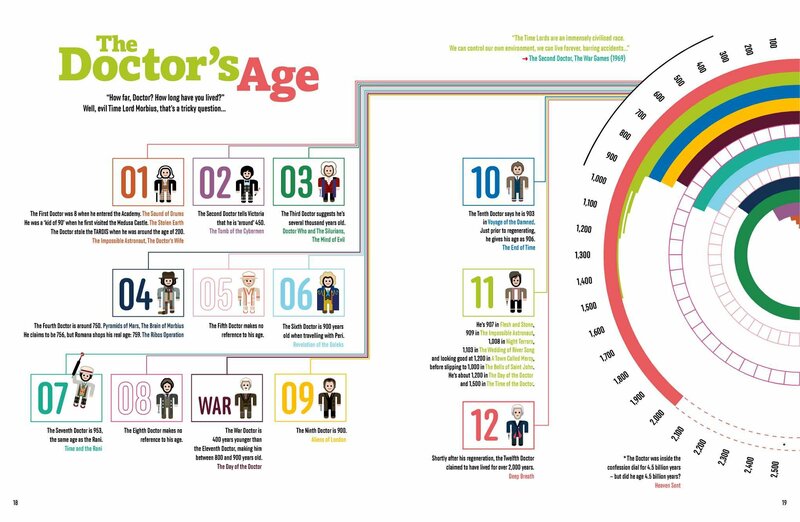 Explore the rich history of Doctor Who like never before, through colorful and creative visualizations and infographics in this captivating, intriguing, beautiful, and strange compendium. 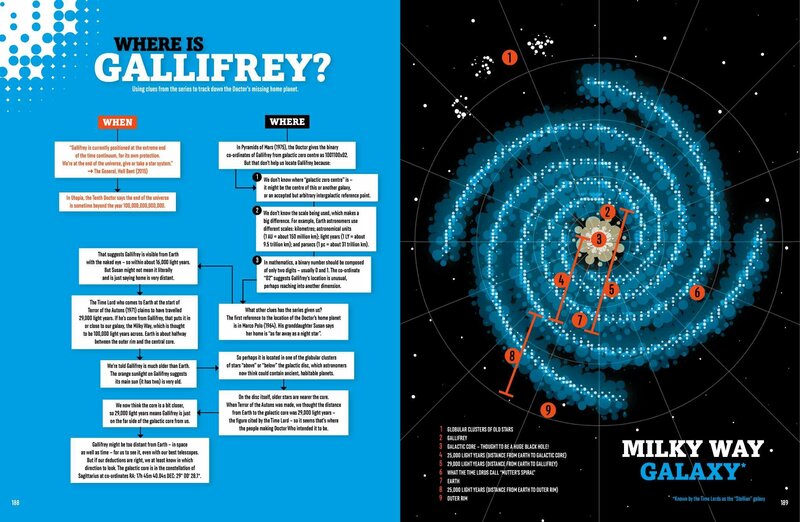 The Doctor’s family tree, the strangest weapons in the whole universe, the frequency of the letter "A" in the names of companions—these curiosities, and many others, are explored in detail, complete with visually-stunning infographics in Doctor Who: Whographica. Each double-page spread presents a fascinating, visual insight into a particular aspect of Doctor Who. Divided into twelve sections—The Doctor, Earth, Daleks, the TARDIS, Friends and Companions, Alien Worlds and more—Whographica features double-page spreads which offer fascinating, visual insight into a particular aspect of the show. 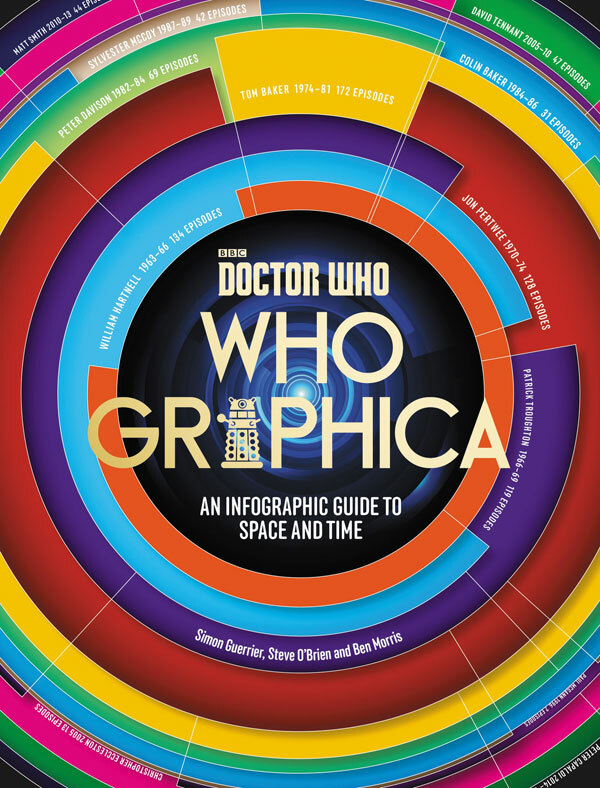 With interesting and fascinating information, Whographica is a perfect introduction to the extraordinary universe of the series, and an engaging sourcebook that will delight long-term aficionados, presenting the history of Doctor Who in an entirely new and enthralling way.